The Learning in Afterschool & Summer (LIAS) Project and Temescal Associates has sponsored an annual conference since 2012 under the banner of “How Kids Learn” (HKL). These gatherings were designed to provide youth workers and their educational stakeholders with thought-provoking, educational opportunities. We are happy to announce that we are expanding our “How Kids Learn” events. In addition to sponsoring an annual conference, we will also sponsor smaller, local events designed to offer access to national thinkers and researchers, innovative practitioners, and networking opportunities. Below, is preview of our upcoming How Kids Learn events scheduled to date. You can get more information on the HKL initiative by clicking here. This feature film documentary had its world premiere recently at the Mill Valley California film festival. It features a program from Akron, OH named Alchemy, Inc. This group uses drumming, mythology, and journaling to promote the healthy development of inner city African-American children and youth. Following the film, we will host a Q&A session with the film director and young people who are featured in the film. To view a trailer of the film, click here. 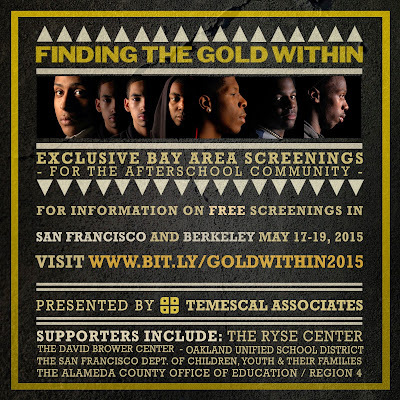 These screenings are intended for Bay Area youth program providers and youth leaders from those programs, and will be conducted between May 17-19th in San Francisco and Berkeley. It is especially appropriate for programs that serve older youth. We also encourage program staff to bring youth representatives. 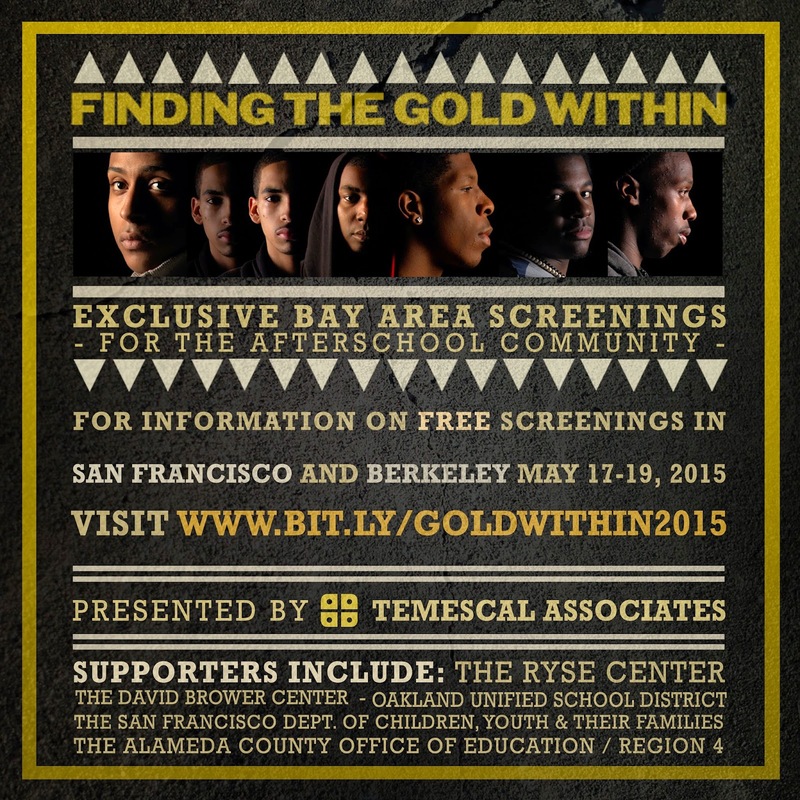 For more details, visit www.bit.ly/goldwithin2015.